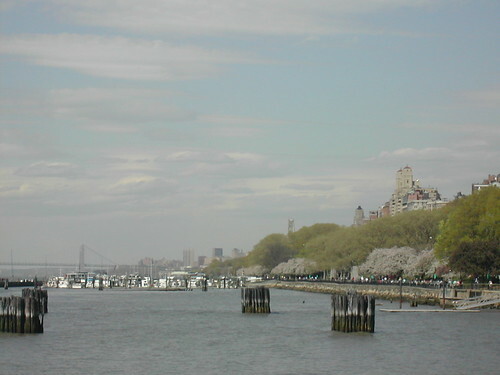 Riverside Park stretches over four miles along the Hudson River from 62nd to 158th Streets, the 330 acres of Riverside Park provide recreation and relaxation for a uniquely diverse population. Rugged bluffs and rocky outcroppings created through prehistoric glacial deposits once descended directly to the Hudson River shore. They were densely wooded until 1846, when the Hudson River Railroad cut through the forested hillside. Today it is enjoyed by all through it's many playgrounds, bike paths and dog runs. 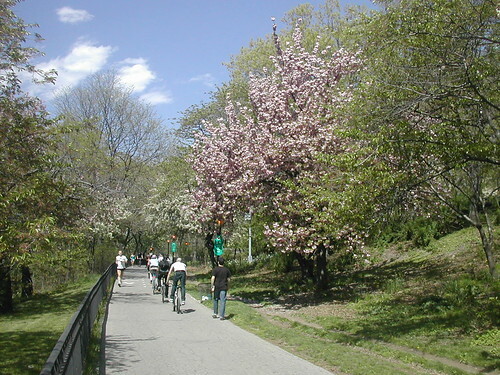 In 1865 a scenic drive and park was built on Manhattan's Upper West Side. The development of the park encouraged the construction of mansions along the drive. 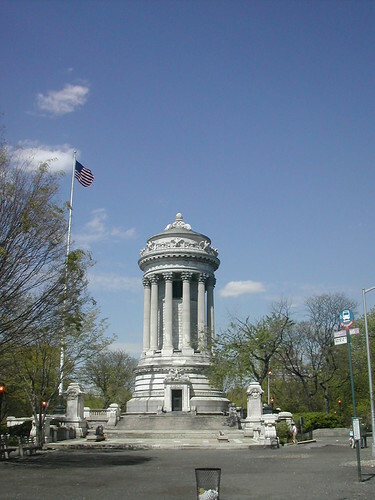 Monuments placed along the drive during this era included Grant's Tomb (1897), Soldiers and Sailors Memorial (1902), Firemen's Memorial (1913), and Joan of Arc (1915). 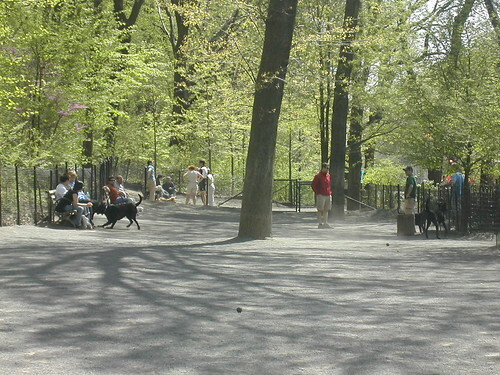 In 2000, seven acres of land stretching from 68th to 72nd Streets was added to Riverside Park, called Riverside Park South. This section of the park now known as the Joe DiMaggio Highway, and Trump Place (the site's developers). Riverside Park South includes a soccer field, three basketball courts, and a public pier extending 750 feet into the Hudson River. 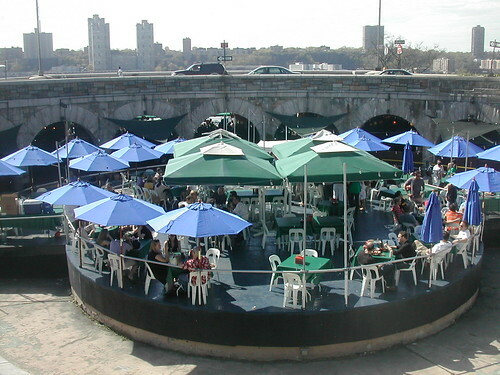 At 79th Street is The Boat Basin and The Rotunda a hidden Manhattan treasure that many New Yorkers enjoy once they discover the hidden treasure below the west side highway. 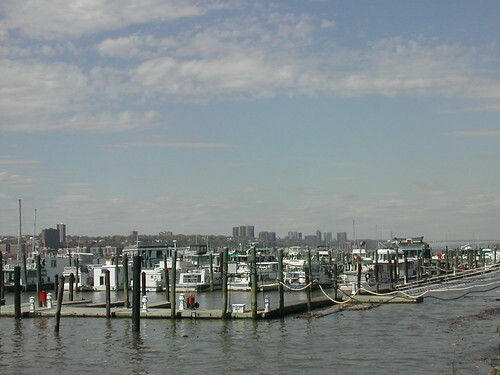 Recreational facilities include a range of sports courts and fields, a skate park, a large portion of the Manhattan Waterfront Greenway (for bicycles), and the 110-slip public marina at 79th street, The 79th street Boat basin an important part of New York State's Water Trail. I make buying and selling Real Estate pleasant and stress free...Just like a walk in the Park! Mitchell - you've done a wonderful job sharing the "feel" of this park - thank you! New York has some wonderful green spaces---surely appreciated by the residents. Enjoyed your photos. Using such wonderful photos is such a great way to give readers/home buyers a really good idea of just how beautiful it is. Well done! It's been several years since I have visited New York. Thanks for the tour. The pictures are great. Mitchell - what a wonderful Localism post and well deserved feature. I love Riverside park. Was only there one time years ago but it still sticks in my memory. You have truly brought it to life for those who know it and those who don't. Diane, Thank you. I took these pictures before my camera broke. lol. Now I'm using my i-phone. Joan, Thanks. It's time for you to come visit us. Jeff, Thanks, I sold an apatrtment to a couple a few years ago. I recently ran in to them and they were raving about Riverside Park. They just discovered the boat house cafe. 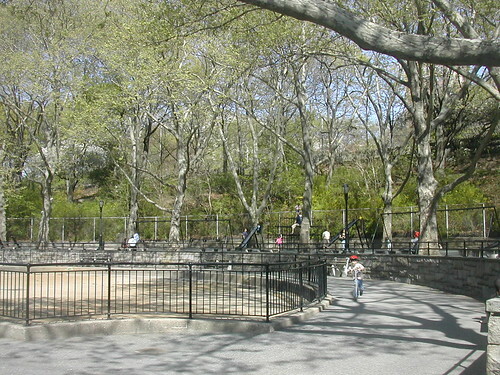 Mitchell, I "discovered" Riverside Park last year when my son graduated from Columbia. Not much time to explore it on that over-scheduled weekend, but it's on my list when I return. Your photos capture the flavor of one of NYC's undiscovered treasures. Mitchell, well deserved. everytime I drive thru, I just shake my head in disbelief. You see the most amazing structures, walls, park, etc. thanks. Mitchell, what wonderful pictures of a NY favorite of mine. 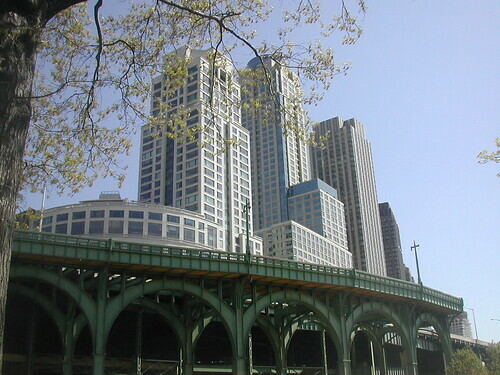 My first apartement in NY was on Riverside Drive and 105th. Of course, it had a view of the air shaft, not the park, and I spent a lot of time outdoors. Mitchell, what a great post and the photos are very well done. Nice job. Mitchell- Nice Localism post. Most people don't realize how much park and scenic watefront property there is, in Manhattan. Norma, Thank you. Everyone knows Central Park but Riverside Park is mostly for westsiders. Congratulations Columbia is a great school. Peter, Thanks, there are amazing structures and sights. Pat, By any chance did you live at 325 Riverside Drive? Many pre-war buildings have air shafts. Usually out the kitchen window. Gary, Thank you. I appreciate your feed back. Marilyn, Thank you. It's so true, most people don't realize it because of all the skyscrapers but Manhattan is an island totally surrounded by water with many scenic parks. Mitchell- Wow .. what a lovely neighborhood.. with prices to match I'm guessing... Isn't there an old movie with the address of Riverside Drive in the title??? 6 Rm River Vu - starring Carol Burnett and Alan Alda they both answer an ad for a vacant apartment on Riverside Drive and get locked inside. MITCH - You're giving away the best kept secret in Manhattan! I used to live on 72nd and West End, and we constantly went to Riverside Park. I love the Boat Basin Cafe. We actually went there as a department when I worked at Billboard. Lovely photos and information. Love New York but it has been awhile since we were there. Thanks for the update. Hi Adam, I lived on the UWS for years and didn't really know Riverside Park. I always went to Central Park. I thought Riverside Park was a little strip that ran along Riverside Drive for locals to walk their dogs. One day riding my bike I saw a tunnel by the off ramp of the highway and went through it and discovered this whole incredible park on the other side of the highway. It must have been fun going there with Billboard. I hope it was for fun but it would be an interesting place for a sales meeting. Bob & Carolin, Thanks for stopping by. I hope you get a chance to come visit again. Beautiful pictures. Thanks for the post. I will make sure to go to the park on my next visit to NY. Thank Gita, I'm sure you will enjoy Riverside park on your next trip. My oldest daughter Elizabeth lives in Brooklyn..you have a few more people there than we have in Maine!